“Semantic search” is probably a term that you’ve heard thrown around. If you’re like me, terms like that can cause a little bit of worry. What is semantic search? What role does it play in SEO? What exactly is changing? Should I be worried? In this article, I’m going to tell you exactly what you need to know about semantic search and SEO. Worries and uncertainties be gone! And don’t worry. Even though “semantic search” sounds a little complicated, it’s not really that scary. What Does “Semantic Search” Mean? Semantic search is when a whole lot of resources are used in order to perform a search, rather than just keywords. In other words, semantic search uses a wide variety of information to give you search results. In short, the purpose of semantic search is to go beyond the ‘static’ dictionary meaning of a word or phrase to understand the intent of a searcher’s query within a specific context. By learning from past results and creating links between entities, a search engine might then be able to deduce the answer to a searcher’s query, rather than provide ten blue links that may or may not provide the correct answer. What Are Some Examples Of Semantic Search? Here are some common search features that you experience every day in your queries. What Is The Origin Of Semantic Search? Semantic search has emerged from the semantic web. 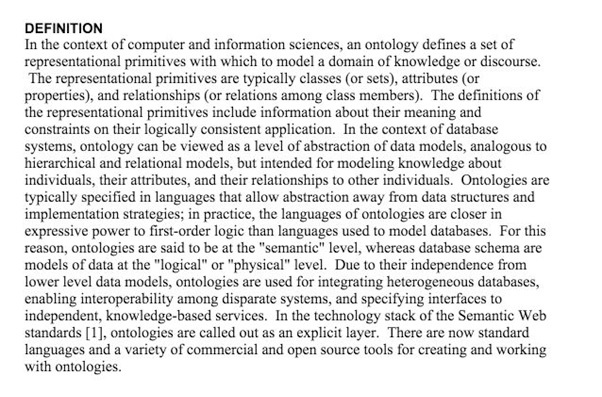 The semantic web is built on ontologies. In the field of information science and computers, an ontology is basically a framework for facts and information that constitute a system of knowledge. The technical definition is actually a bit more complicated than that. 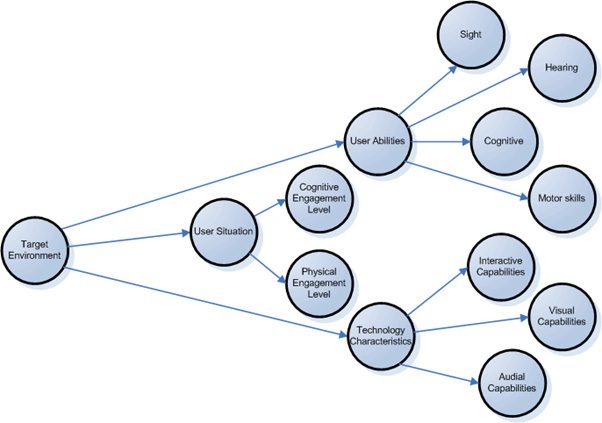 In other words, ontologies allow for the analysis of specific inputs or sets of inputs based on a network of related factors. Like what? The semantic web uses this interplay of sets, properties, and relations to order the vast amount of data that comprise the Web. Semantics has to do with programming language. Computers obey the specific semantics of a given programming language, following specific processes and complying with certain commands. Semantic features on a web page are things like meta tags. With the rise of the semantic web, however, there is much more metadata available to search engines. Pretty much anything having to do with a query or a website can be considered part of the semantic domain relevant to search results. Semantic search depends on both the semantic markup of websites and the vast amount of semantic information it has to pull from. How Long Has Semantic Search Been Around? 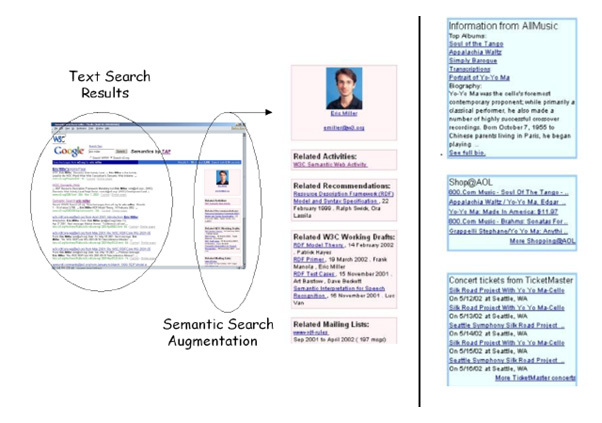 The theory of semantic search goes as far back as 2003, and a paper written by R. Guha et al., of IBM, Stanford, and W3C. They demonstrated how semantic search would work. It took a while to get from theory to practice, but ten years later (2013), we saw the first major breakthrough in semantic search for the common man. 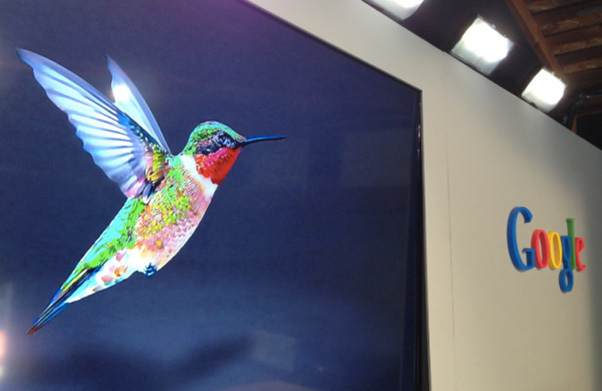 It was called the Hummingbird update. The Hummingbird algorithm was designed to be precise and fast. Most SEOs know that Hummingbird introduced “conversational search” into search activity. But there was much more to Hummingbird than just conversational queries. Hummingbird is paying more attention to each word in a query, ensuring that the whole query – the whole sentence or conversation or meaning – is taken into account, rather than particular words. The goal is that pages matching the meaning do better, rather than pages matching just a few words. Based on that explanation from Danny Sullivan, we recognize that Hummingbird broadened search far beyond the confines of keywords and into a wider world of semantic factors. What Are All The Factors That Search Engines Use To Perform The Search? The fact is, we don’t know the exact interplay of factors that search engines are using to return the best results. We do know that Google uses more than 200 ranking factors. We know that user behavior affects SEO. 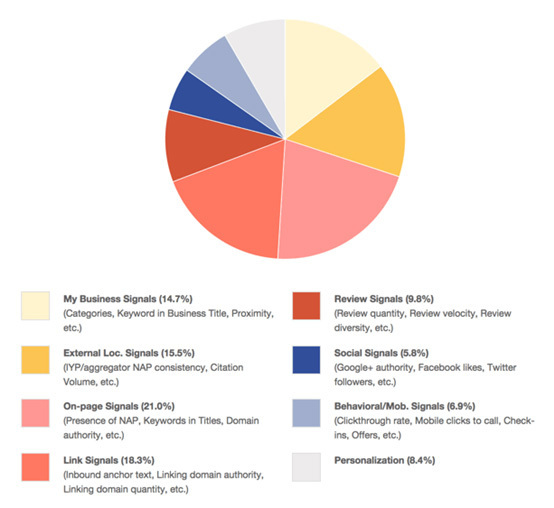 We know that other signals have an enormous impact on search results. Semantic search takes a wide view of search query, using its many factors to return the best results. The latest advances in machine learning have also advanced semantic search capabilities, allowing it to basically function independently, and to continually refine and learn how to return even more relevant results. Why Is Semantic Search Better Than The Traditional Keyword Search Model? The basic answer is this: It’s much more accurate. If search engines were merely returning results based on keywords, you wouldn’t like the search results you were getting. The very best results can only be returned by taking into consideration the semantic factors of a page. But clearly, that’s not happening! Take a quick look. 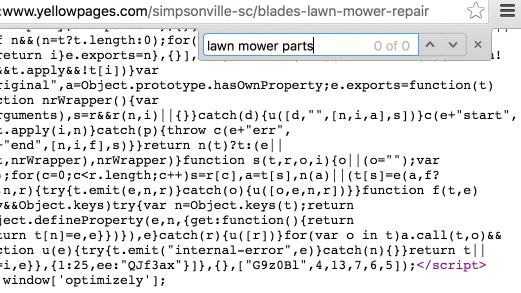 The search results for “lawn mower parts” show me local results with a map. That’s one simple example of semantic search in action, but there’s more! The top organic result for “lawn mower parts” doesn’t have the phrase “lawn mower parts” at all! I even searched the source code on the page. Semantic SEO is at work, and it’s giving me results based on a whole lot of factors, not just my little three-word query. As you’re beginning to see, there’s a lot more that goes into search than just the words you type in. What about the millions of other people who type in the same search? What about Google’s machine learning? 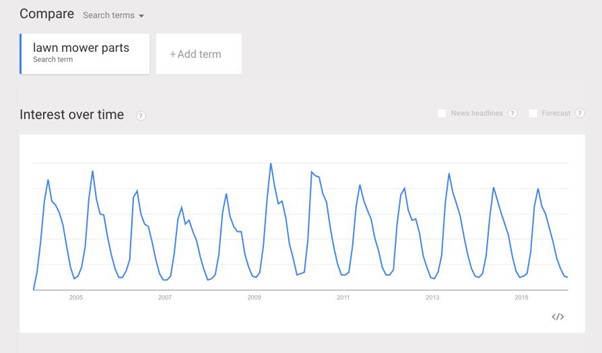 What about the seasonal trends that impact these searches? What about user behavior on these searches? What about the search trends that are specific to my local area? If I were searching from an area where people could only repair their own lawn mowers, would I get different results? What if I was logged into Google when I made that search, and Google somehow knew that I was a die-hard DIYer who had repaired my own lawn mower in the past. Would my results be different? 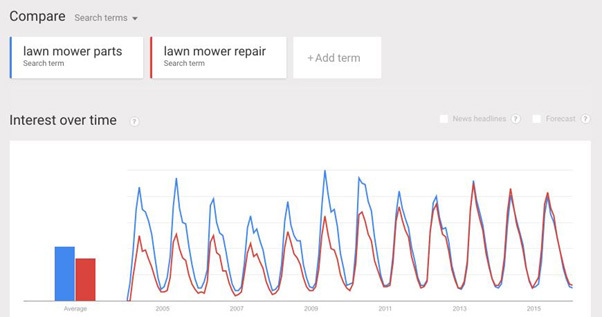 For over ten years, Google has been collecting data on the query “lawn mower parts.” Take a look. They know that interest in this query fluctuates according to the season and to the relative amount of rainfall and seasonal start time. 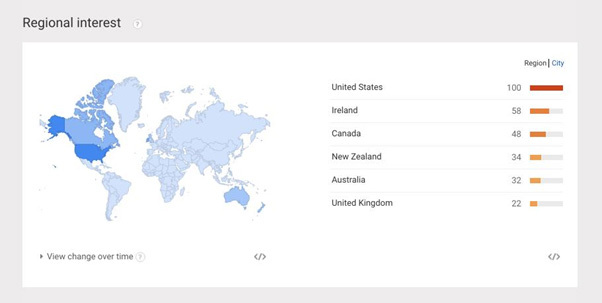 They know that residents of the United States, Ireland, and Canada are the countries with the highest percentage of “lawn mower parts” searchers. They know that people are also likely to look for branded terms on lawn mower parts that are specific to the particular lawn mower that they own. 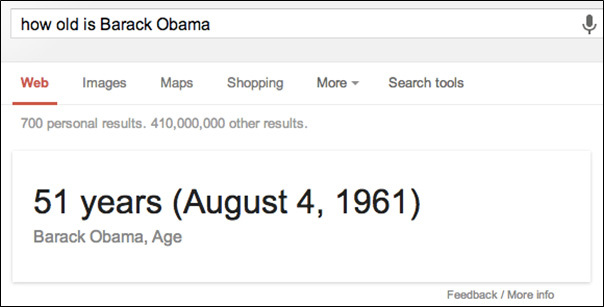 That’s why semantic search is so powerful. Instead of just getting a collection of websites with your selected term, you get the very best websites for your very specific situation. 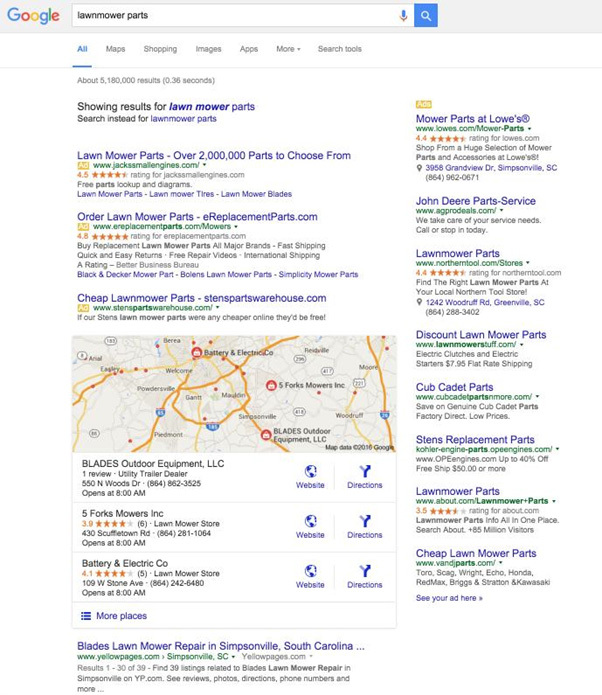 What Is The Greatest Advantage Of Semantic Search? Semantic search takes into consideration user intent and user data. This is perhaps the most important thing about semantic search. The very best results aren’t those that contain lots of keywords, an optimized H1, and a well-crafted title tag. Instead, the most relevant page is one that aligns with the user’s intent. Remember the example about “lawn mower parts” above? 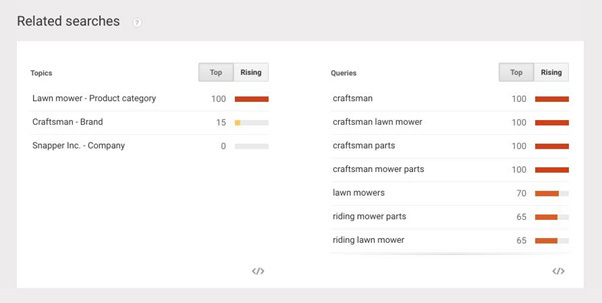 Google realized that most users weren’t just looking for some hard-to-find part for their lawnmower. Instead, they wanted to get their lawnmower repaired, preferably by a professional who knew what part to order and how to order it. Based on the aggregate data of millions of searches, Google’s machine-learning algorithm has trained itself to interpret what you really want. Google and any other search engines gather enormous amounts of data on every query. For example, as early as 2012, Dr. Peter J. Meyers of Moz explained that Google and Bing use SERP CTR and dwell time data to return relevant results. Thankfully, using Google Search Console and Google Analytics, we can find out some of this relevant data. All of this data and more is being incorporated into Google’s search process, providing you with answers to questions, predictive solutions to problems, and search results that give you more than you expected. 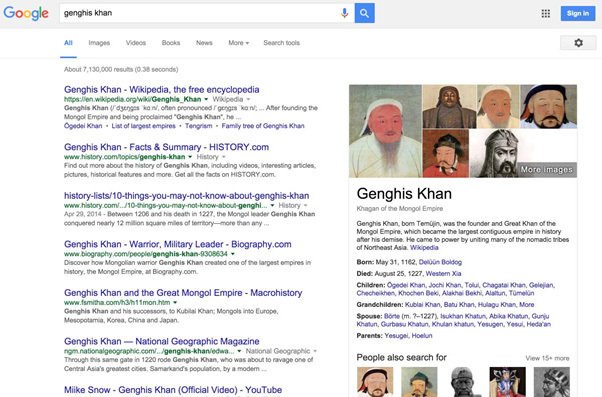 As semantic search evolves, we can expect even more advanced results. Here’s the final question I want to answer: What should you do about it? All this information about semantic search might help you feel smart and cool, but it does you absolutely no good unless you know how to apply it. Well, here’s the good news. 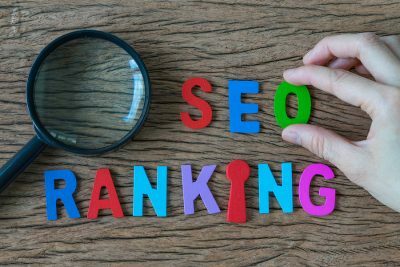 If you’ve been implementing up-to-date SEO and content marketing practices, then you’re probably okay. If you’re still in keyword stuffing mode a lá 2006, then you need a change of plans. Worry less about exact keywords. 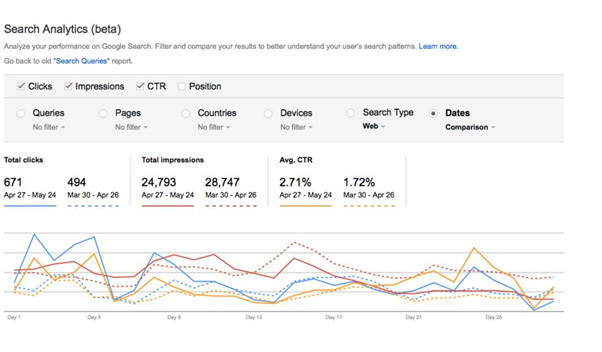 Do keywords still matter? Sure they do. But don’t sweat it. As long as you have focused content (see point below) then you’re okay. Make sure that every piece of content you produce has a clear focus. 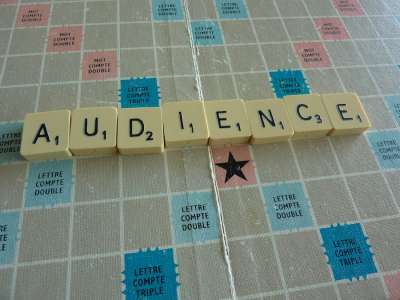 Search engines are tailored to identify the meaning of your content. For this reason, each piece of content that you produce should be sharply focused around a single topic with obvious meaning. 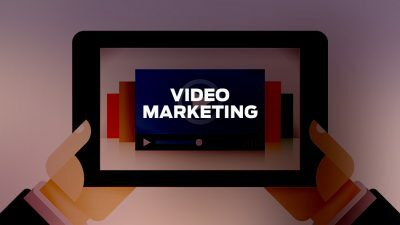 Create high quality content. Just do it. Don’t stuff your content with keywords. You’ve known this for a long time, but it’s worth saying it again. Keyword stuffing doesn’t work. Use structured data markup. Data markup will improve your SEO in the age of semantic search. Focus on long tail keywords. Even though sole keywords matter less, long tail keywords are still crucial. Make sure that all your content is optimized for the long tail. The big takeaway is this: Give the user the best experience possible. All of SEO is basically user experience. The better the user’s experience, the better your website will do in the search engines. This is especially true in the age of semantic SEO. 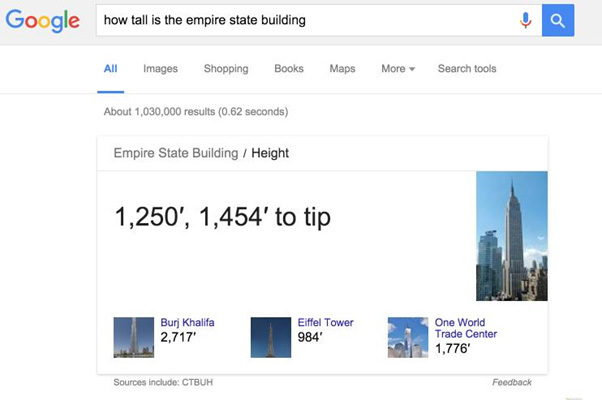 It pays to know about SEO. After all, it’s the present and future of Internet search. Thankfully, putting this knowledge into practice isn’t that complicated. What is your experience with semantic search? What are your practical applications?